Another homegrown brand soars high in the Davao dining scene as Al Sultan Restaurant opens its doors to the public, opened last July 19, 2013, 5 pm at the 3rd floor, Roof Garden of Abreeza Mall. Al Sultan is brought to you by the same kitchen that brought you the long-standing Mediterranean favorites of Zabadani (The Peak, Gaisano Mall). 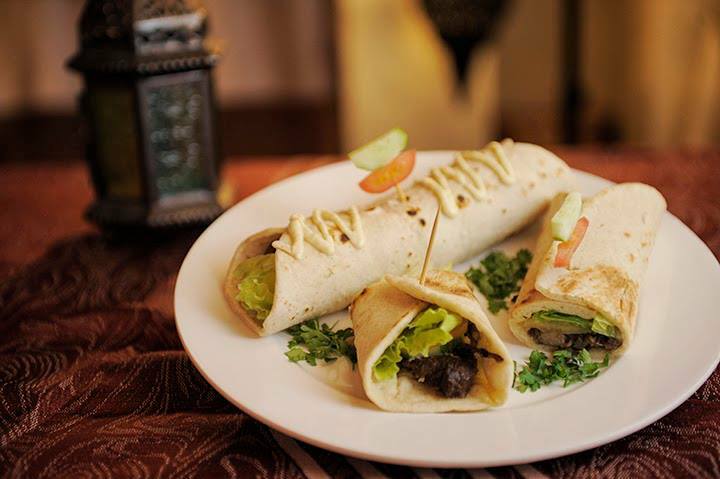 While Zabadani is a Middle Eastern Filipino fusion restaurant, Al Sultan offers different Filipinized versions of Arabic and Mediterranean cuisine. The owner and Executive Chef of Al Sultan, Wadi, says that the restaurant is aptly named (in Arabic, means “The King”) because when you eat there, it’s like entering a palace in a different time, eating like an emperor of the Ottoman. The restaurant also promises outstanding service and dining experience without having to bust your budgets. As part of their well-thought menu, Al Sultan presents the following specialties: Malookhia (jute and meat soup), Bamia (lady fingers in stock), Salonah (beans, peas and lentils) and Makboos (rice toppings). Their beverage menu also declares Affogato, Moroccan mint and Lassi as their flagship mixes. “The meat of Al Sultan’s cooking is centered on an advocacy on healthy eating habits. That is, less salt, no MSG, no ready-made seasonings, high quality herbs and spices, in-house production of stocks, freshly kneaded breads and of course, procedures observing the HALAL standards. At the same time, we carefully planned the place to be cozy, well-lit and appetizing as we also want it to be a place of family bonding, good business and found friendships,” a quote from Wadi, as he fondly tells the story behind the conception of the restaurant. Al Sultan is also signed up as one of the donors of Habitat for Humanity and on several basic housing and education projects for IP communities with the University of the Philippines.